They allow all members to assess the potential industry value that a member or company brings to a particular project. They allow all members to target a particular level of project and talent. They serve as a messaging and introduction filter. By default members can only message you if they have a score of at least 50% of your score, or if you choose to track them. You can easily adjust that filter according to your own preferences and see what percentage of Slated’s community you will be interacting with as a result. 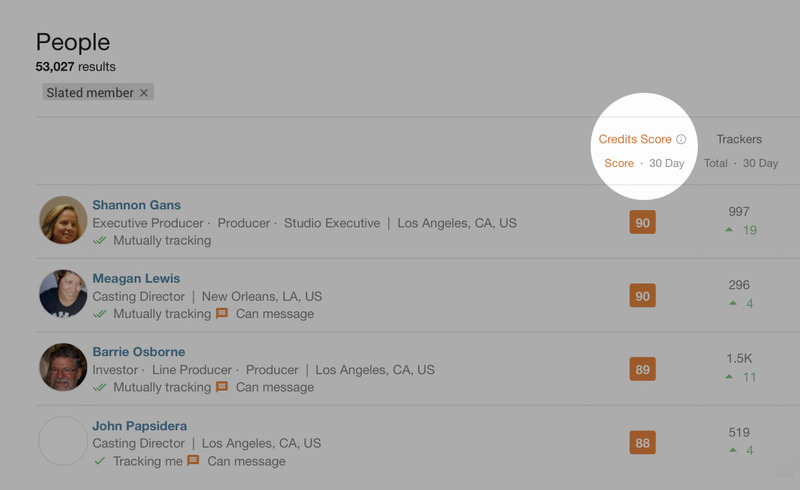 Similarly, you can also filter what film deal alerts you receive based on their package score. And you can sort by higher trending people, films or companies far more rapidly.